On 14 November, we will pack up our cars and make our way up to Liverpool to set up our stand at the annual UNICEF Baby Friendly Conference. This year it is at the ACC Liverpool on 15th and 16th November. Being our 12th stand at the conference, we are really excited to see the speakers and talk to fellow delegates. We love listening to the speakers and updating our own knowledge. 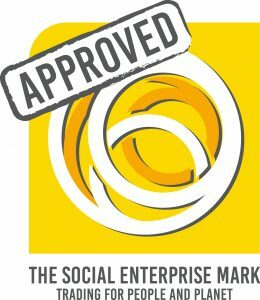 Ensuring our products are up-to-date and relevant is especially important to our service in Cornwall. Here we strive to give the best service to the community, where our Peer Supporters are volunteering to support mothers. A quick scan through the timetable and there are many great presentations. A few that we’ll definitely be attending are: ‘What does the evidence tell us about peer support?’, ‘Skin-to-skin contact: Moving the conversation on, what we have learned and where do we need to go?’ and ‘The rationale and evidence for the new ten steps to sucessful breastfeeding’. Yes, unashamedly we are there to sell our best selling DVDs , posters, Essential Guides, Training packages as well as introducing our new products. Because we have mothers and families in mind, our products are coupled with the most up-to-date and relevant information which we know women and families engage with. The new ‘easy read’ edition of our essential guide is our new product in 2018. Making it easier to understand, the ‘easy read’ edition is accessible to all. 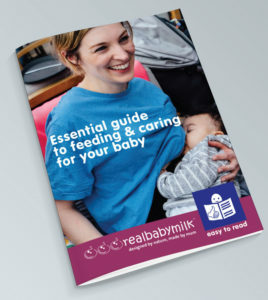 We feel that adding this guide to our catalogue could really benefit some families who otherwise would not have the opportuntiy to try breastfeeding. We are still working on this guide and therefore we will only have some early copies available. Please come and discuss this with us as we will be looking for opinions and interest in this new edition. We will have our new branded cotton bag (modelled here by our project manager Mary). 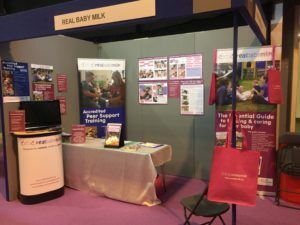 Our new purple bag will be filled with information about Real Baby Milk and some other little goodies for you to take away. We will have limited numbers each day, so come and see us quick before they disappear. 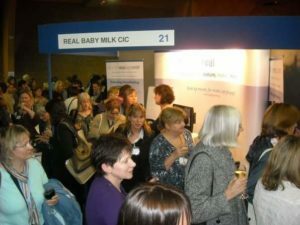 We love catching up with our old friends and the wider breastfeeding community. All year long we are plugging away at promoting, defending and protecting breastfeeding in sunny Cornwall. It is absolutely amazing to have two full days filled with enthusiastic and truly inspiring people from the rest of the country. Hearing your stories, projects and ideas is great and we love to share our own. Please come and say hi!